Two ducks boogie on a lake that mirrors a rock formation. 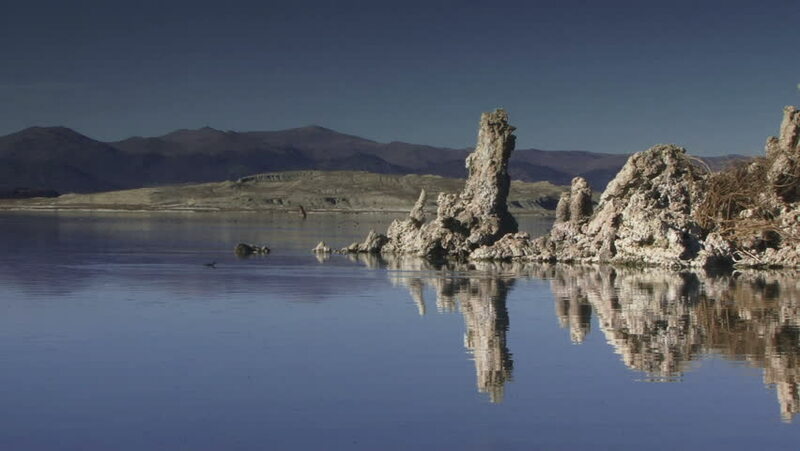 hd00:30Mono Lake 002: A surreal landscape of Tufa columns at Mono Lake, California. sd00:16Flying just above the reflective surface of a small lake, high in the Sierra Nevada Mountain Range. hd00:30Background ducks boogie along on a lake that mirrors a rock formation.